As I mentioned in my post about sling bag sizes, finding the right bag is often a Goldilocks and the 3 Bears. Some bags are too small, some are too large, and some are just right. For my AR15 pistol in .300 Blackout, the Rydell bag by adidas is just about the perfect size. This bag would be a 100% hit if the shoulder strap could be moved from one side to the other and if the padded portion of the shoulder strap was adjustable. According to adidas, the Rydell is made up of a combination of 1650D ballistic nylon, 600D polyester, and polyester ripstop. 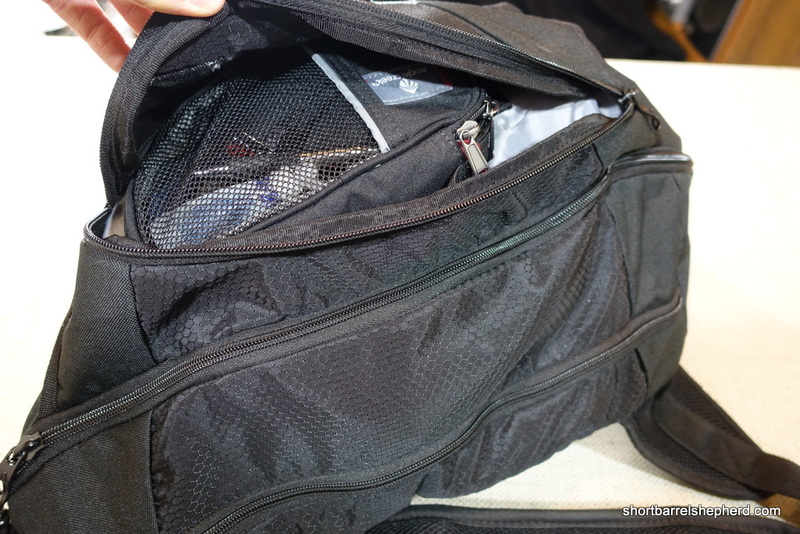 The outside of the bag is made up of the heavier-duty 1650D ballistic nylon, with the interior portions of the bag made up of the lighter poly and ripstop. 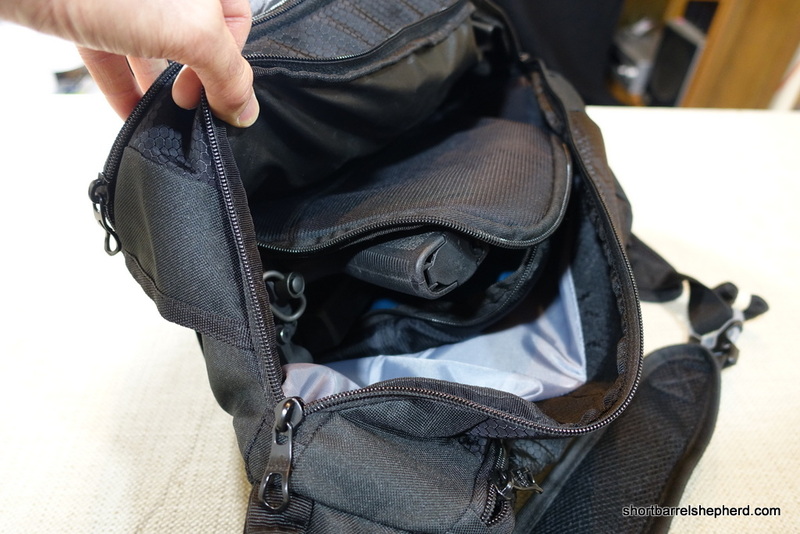 Overall the bag feels very rugged and durable. 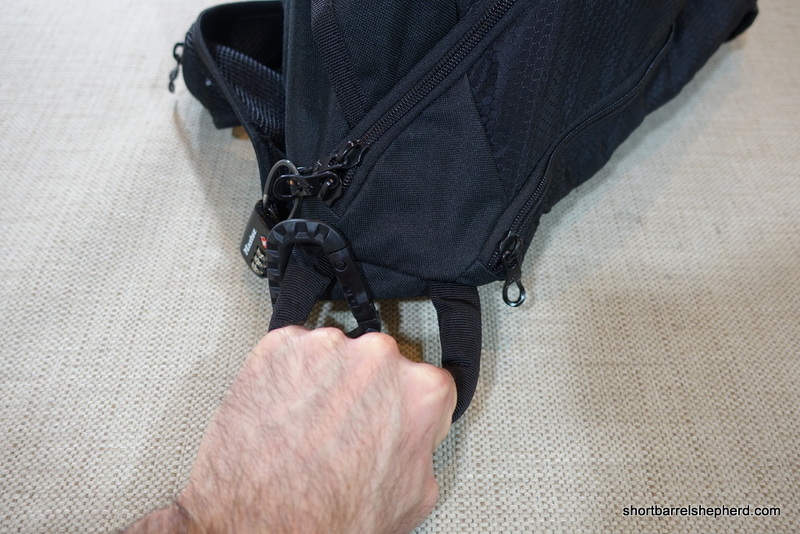 The stitching is well done, especially on the grab handle and the shoulder strap. For me, the Rydell has the right amount of pockets. 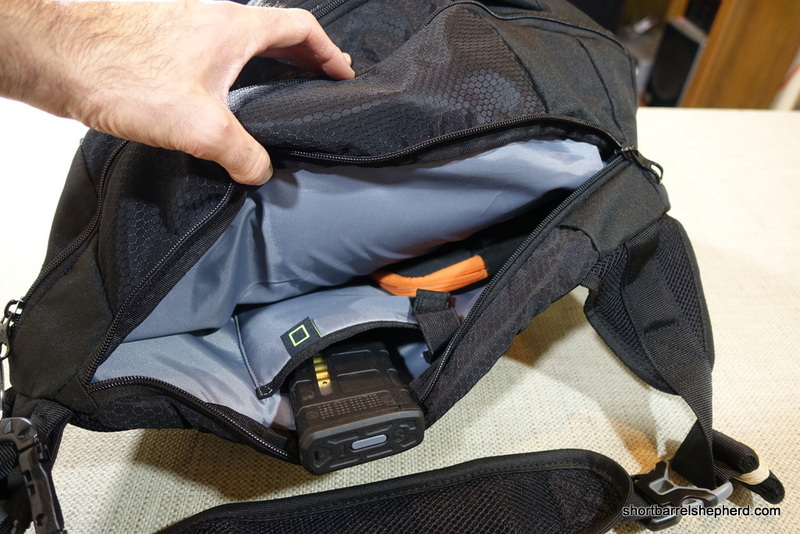 It has one large internal pocket, a long pocket that runs the length of the bag and is closest to your body, a mid-sized pocket covered by a buckled flap, a small zippered pocket on top of the flap, and a small sunglass-sized zippered pocket on the shoulder strap that is just the right size for a Glock 19 mag with a +2 extension on it. 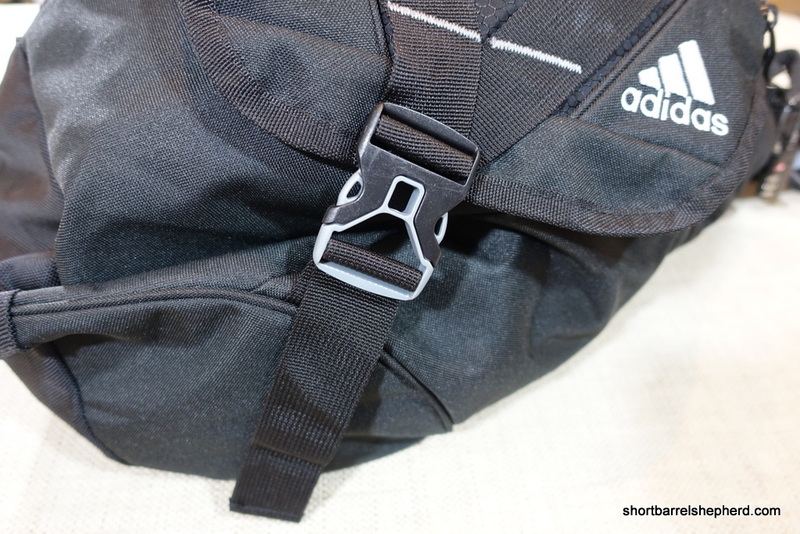 The strap is attached from the top of the bag to the bottom right corner of the bag. This means the bag can only be worn over the left shoulder. This is a bit of a downer, since this puts left-handed people at a disadvantage and also means your firearm might be “upside down” in your bag. The strap has a springy, elastic top. This allows some of the impact from running / dynamically moving with the bag to be absorbed by the strap. This slightly reduces how much the bag bounces when I sprint. The bottom of the bag is slightly reinforced. It isn’t as well reinforced as a traditional day pack or laptop bag, but better than some of the other sling bags I own. 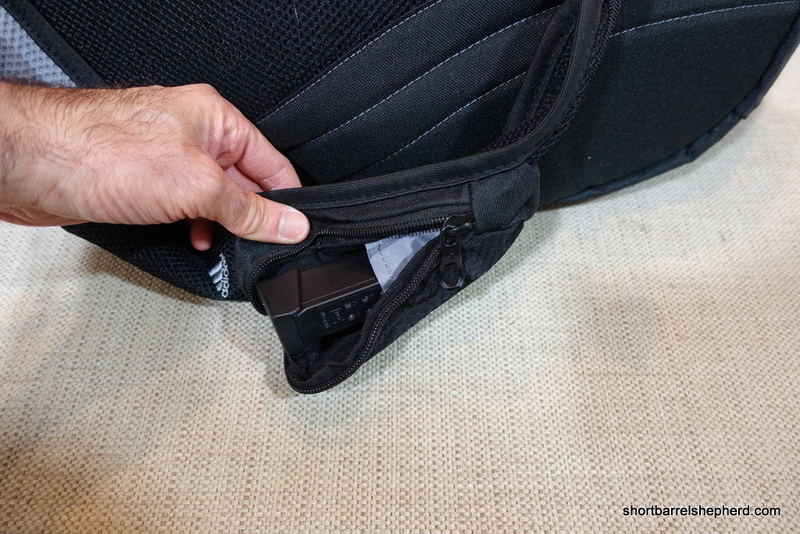 There is a padded grab handle securely attached to the top of the pack. I find a grab handle a required feature for any EDC bag. The pockets are lined, but I would only consider the bag water resistant. The seams don’t appear to be sealed, and not every part of the bag is protected by the thickest, most rubberized material. The bag fits nicely on my body, and fits my physique as well as my cargo needs. The bag rests near the small of my back and is comfortable to wear. I look forward to wearing the bag all day during training next year. I have adjusted the strap of the bag to allow it to rotate freely from my back to my stomach. This also means the bag bounces when I sprint and will also rotate on its own if I quickly crouch down or lean over. I could lessen these unintended movements by tightening the strap, but that would also make it more difficult to move to the front of my body if I needed to access the contents. In my experience, I adjust the bag to be as slack as possible without being so loose as to catch on anything. Your mileage may vary, and that is why it’s important to practice for your specific shape and usage. I dislike the padded portion of the strap. It does not slide similar to how a Timbuk 2 or laptop bag pad works, and if the Rydell’s strap doesn’t fit you just right you’re out of luck. The zippers are very good quality. The pulls are slightly contoured, which may make them easier to pull under duress. 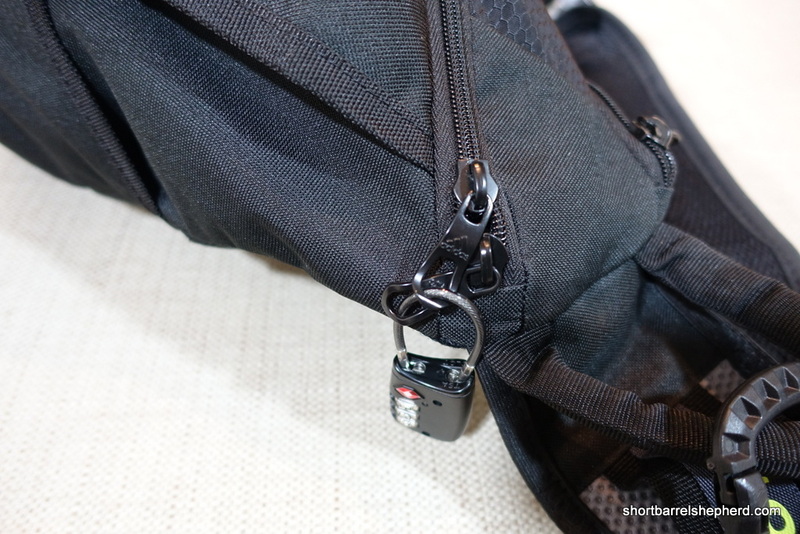 Only the largest pocket has double zippers, so it’s the only portion that can be locked. If you intend to keep a firearm in the hidden pocket close to your body be advised you won’t be able to lock it. At about $40 delivered via Amazon Prime, the adidas Rydell is a good value. The bag is well built and is comfortable to wear. If you can get past the strap this is a great candidate for an EDC bag. 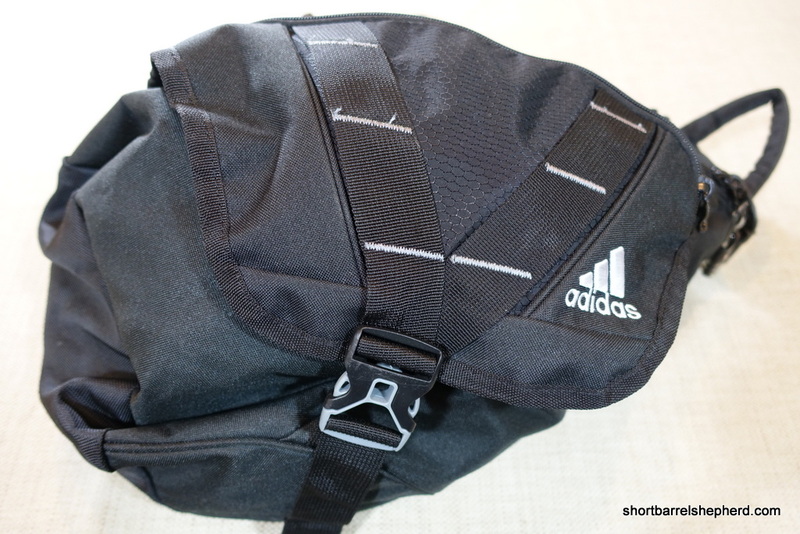 7 Comments on "adidas Rydell Sling Bag For EDC Review"
I wonder if it is large enough to fit the upcoming galil ace pistol. If so, it’s on my list. There is a simple fix for the mags sliding around. Take the bag to any seamstress (or canvas awning shop) and have some Velcro added to the inside of the pocket and to the back of a mag pouch. Sure it’ll add “slight” weight, but your mags wont slide around. A sliding mag could collect debris or knock a round loose, or worse cause a round to move forward just enough to be a loading issue. In addition keeping a mag in a pouch gives you a predictable presentation every time. Great idea! I also have some fabric glue, and may try that as well. Are we advocating using this bag for our edc pistol, or for a ld rifle. I’m new to EDC carry of an AR-like pistol. Is this the bag you recommend or something different? 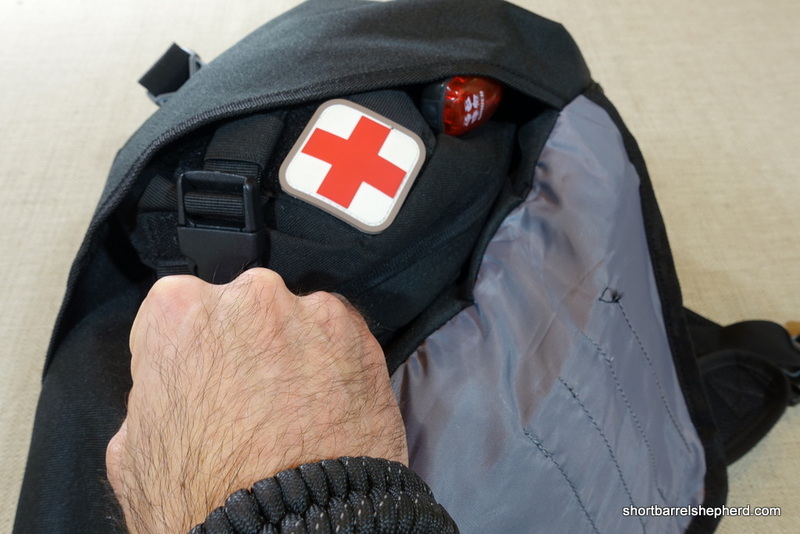 What about the Blackhawk Diversion bag for fast deploy? Or the 511 Select Carry sling pack?